Watching the most beautiful, enchanting, mesmerising production of The Nutcracker - streamed live from the Royal Opera House to my local cinema. The music & orchestra sublime as ever. #ROHnutcracker THE one to watch this Christmas. Joy to the world, the Queen is come! 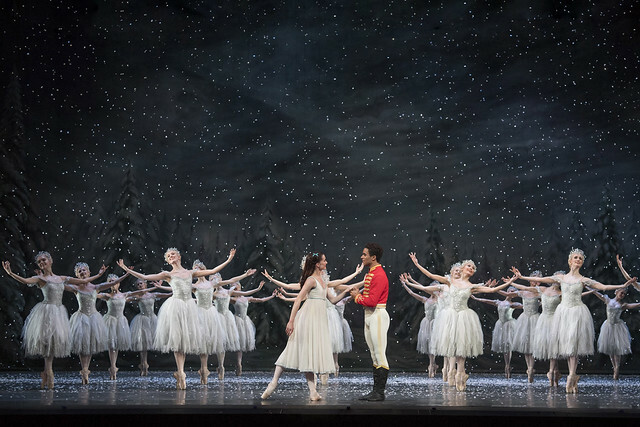 The Nutcracker runs until 15 January 2019. Tickets are sold out, although returns may become available. A limited number of tickets are released each week as part of Friday Rush. Another wonderful evening, Christmas starts now! Nela is the best Sugar Plum I've ever seen and I've seen quite a few. Congratulations Anna Rose O'Sullivan and Marcelino Sambe for a fantastic Clara and Hans Peter. What a brilliant partnership this is, hope to see them dancing together again soon. Thank you Royal Ballet for Gary Avis who is matchless as Drosselmeyer. I thought last year's cast was awesome but I think tonight's has surpassed it. As with every year I was enchanted from start to finish. Bravo! Spontaneous clapping and cheering in Faro, Portugal for the spine chilling performances. What a fantastic treat, thank you so much. Perfection heaped on perfection. Another keeper. DVD please. Sharing it with my daughter and 7year old granddaughter and we are all transported. What a magical evening. Thank you. What a marvellous start to the Christmas season. We saw this at our local cinema in Swansea - what a treat to see the ROH performances around the country. Once again great performances from all the principals and the rest of the cast. My husband and I were entranced as we watched at Paignton and my daughter and granddaughter were at the cinema in Bad Kreuznach, Germany also. A marvellous way to unite a family for two sublime hours. Thank you to the Principals and all dancers for the part they played. Wonderful to see Sir Peter Wright come out for a curtain call. Hi Mum - yes it was great! Such a marvellous performance. Fi & Lucy in Bad Kreuznach, Germany. The opening night (O'Sullivan/Sambe/Avis/Nunez/Muntagirov) was just about the best performance of The Nutcracker ever. Having a live relay to The Linbury was an inspired decision. 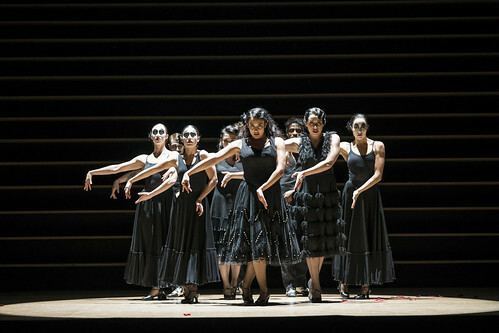 The atmosphere was electric and many in the audience there were new to the ROH, the ballet, that ballet, and the artistic excellence on display. It seemed to embody everything that 'open up' is seeking to achieve and it was amazing to be a part of it. Thank you, Kevin O'Hare and the five leading dancers for coming to take a bow afterwards.This gesture was the icing on the cake and so much appreciated. There surely has to be a BluRay/DVD of a performance of this calibre. It was special in so many ways. Hello from Madrid (Spain), I just saw "Nutcracker" live. There are no words to describe, the spectacle of the work in all aspects. That's great. Avis fantastic as Drossremeyer party was wonderful some really excellent children and Clara. Sambe exuberant Nutcracker. Snowflakes beautiful, chocolate coffee and tea all brilliant Hamilton very sinuous, Trepak energetic, flowers graceful and rose fairy enchanting with the wonderful Nunez and Muntagirov topping off the whole performance with flawless excellence. A real joy. These people were fortunate. Along with many others we booked seats at Fulham Vue only to find the live performance from the RON was cancelled due to "satellite problems". If this is so how did other cinemas screen Nutcracker. In 2017 the Fulham Vue screening was cancelled halfway through. Never again! I attended the broadcast at the Cineworld Wandsworth and the quality of the broadcast was appalling. Shocking that it was able to go forward when clearly there were issues. I found the broadcast of the performance appalling, too dark and the camera work was disgraceful...who cuts off the feet of a ballet performance when filming it? Why were there close ups of the faces? It's a ballet, not a drama. Satellite dropouts throughout. I don't understand. Very disappointed. Not the magnificent Nutcracker I know and love. Will there be an encore of the performance filmed last night? An excellent production but a little dark on occasion I felt - the 2016 DVD seems to have been a bit better lit. As to the performance, Gary Avis as ever superlative in the Drosselmeyer role. And Nunez + Muntagirov performed superbly, magically even. I hope the full cast list can be published - the cinema handout only has the five main roles. The cinema (Windmill in Littlehampton) was packed out, and is showing the "encore" later in the month. For once the audience applauded fulsomely - often live feeds seem to be greeted in silence! A wonderful performance, the best ever. I have seen the nutcracker so many times,even when I was a child. I am now 82 , I so much wanted to go to ballet school, but was not allowed to “ Mrs Worthington. So I became a chartered physiotherapist qualifed in 1958. Dear Darcy Bussel,we all know was a wonderful ballerina,and l saw her dance at Polsden Lacy when she was a student, and I thought then she would go far. I have seen many Nutcrackers with different casts but I have to say this was the best I have seen. Everyone in it was on top form and the partnership between Sambe and O’Sullivan is one to be nurtured, both wonderful and with lovely chemistry. However, for me the evening belonged to Nunez and Muntagirov who can scarcely be bettered anywhere - the most amazing dancers at the peak of their game, with such a connection between them - and to top it off, they both looked as though they were having such fun! I cannot get over Vadim’s perfect technique and such soft catlike landings after those soaring jumps. Please, there should be a DVD, if only to preserve for posterity this amazing cast and heart-stopping performances! I absolutely agree, this performance was exceptional... I so hope they release a DVD/Blu ray ... I've been lucky enough to see the same cast tonight, and it IS FLAWLESS! Watched it in Bressuire, France - brilliant, dazzling, magical. Seen it lots of times over the (many) years and this was definitely the most enjoyable. Nunez and Muntagirov and wonderful together. Watching at the cinema gives you the opportunity to appreciate the whole production from the best angle. Love being at ROH but cinema is the next best thing. Loved every minute of it . Have been to see 4 or 5 productions of this and I th8nk this was the best. Can’t wait to get the dvd now so I can watch it again. Disappointed with this production. Have seen the Royal Ballet dance this many times and I'm sure the company will continue to work on this over the coming weeks. Some dances were slightly out of time and need more precision. It was a safe performance apart from some Sugar Plum Fairy lifts which were a bit worrying. This relay was one of the best ever. The individual performances and the classic sets, with totally sympathetic conducting/playing. Nunez is breath-taking in her natural perfection and all on stage added to this great experience. Very glad that Cineworld on the Isle of Wight has provided ideal sound recently at long last. Hope this continues with the opera relays! Will there be a dvd of this performance?! Loved it!!! I saw a performance with Yasmine Naghdi, Ryoichi Hirano, Emma Maguire and Luca Acri. Brilliant! But why isn't Francesca Hayward dancing? because she is currently not dancing with The Royal Ballet and will be away until late spring 2019. She is participating in the filming of the musical "Cats". Wonderful performance, enjoyed at The Little Theatre, Sheringham. Impeccable audience behaviour too!
. How do we get hold of a copy as your recommended copies are of other performances. It's unlikely that this particular cinema relay performance will go into production to sell as a DVD, as there is already a very recent DVD of the same production with many similar cast members in the supporting roles, starring Lauren Cuthbertson, Federico Bonelli, Francesca Hayward, Alexander Campbell and Gary Avis, that is already on sale. In addition there are also two DVDs on sale of this Royal Ballet Nutcracker (with only very slight choreography and production differences) starring Iohna Loots (as Clara), Miyako Yoshida and Steven McRae and the other starring Alina Cojocaru, Miyako Yoshida and Jonathan Cope, all in direct competition for sales with each other so it wouldn't make sense to produce a fourth that reduces sales of the remaining three, which also means it won't be cost effective to produce a fourth version so soon, with the production, editing, sound and other costs this entails. It's not impossible, though, but unlikely. Thank you, Roh, for giving us the chance to witness this performance. Nela's performance transcended perfection (as usual). Absolutely stunning performance! Can’t imagine a more beautiful Nutcracker production, the costumes the set not to mention the most beautiful talented dancers in the world. Personally I prefer Hayward/Campbell as Clara and Hans Peter but still really enjoyed the cast of this live cinema relay. Feel so lucky to be able to experience it being so far from london, thank you! Romany Pajdak best I've seen in Oriental Dance. Please, please, release a DVD for America. I can't find it here, not even in Amazon!!!! There is no REPLY button against ML's comment but I would just like to say to him/her that it is surely for the ROH to decide whether or not to issue a DVD/BluRay of what was a truly amazing performance on 3rd December. Why would anyone want to put a damper on that? Personally, I would certainly be buying one and I know of several others who can't wait for it to be issued. 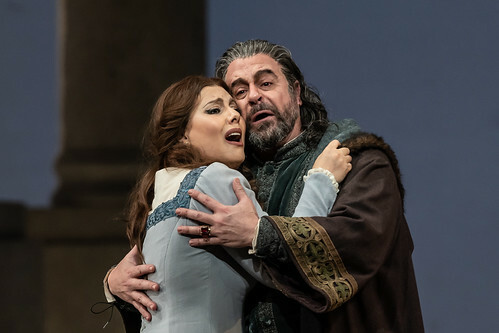 I think that it is important for the ROH to make a choice available and to preserve performances of such astonishing all round quality for posterity. Saw the performance on Saturday 15th December...I was blown away! It was so amazing! I knew it would be great but I didn't expect it to be that great! I think it's the most beautiful show I've ever seen. The sets and costumes, and of course the dancers! Special mention for the Arabian dance and Snowflakes dance! Truly magic. Thank you for this wonderful production! It was one of the best moment in my life! I enjoyed the cinemea relay on 3rd December enormously, it is always a delight to enjoy a perfect view in a comfortable seat with unrestricted sight lines. Yesterday early afternoon (22nd Dec) I attended the ROH and enjoyed Marianela and Vadim dance exquisitely as they always do and would of course love a DVD of this preformance. As I have said before, it can solve many christmas present problems. One suggestion, I have "The Art of Marianela Nunez" compilation of 4 ballets that was produced last year, Don Quixote, Giselle, La Fille and Swan Lake. 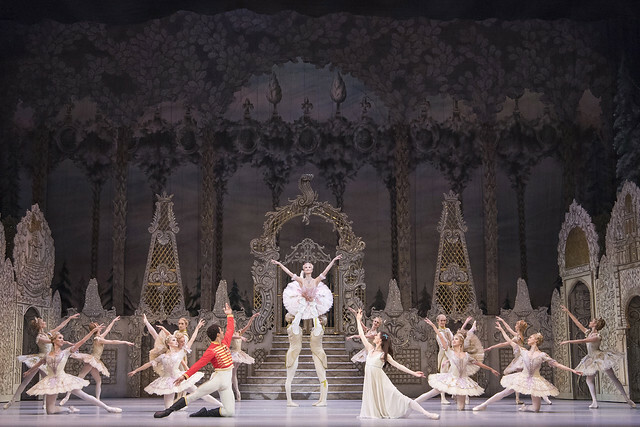 If a separate DVD of the latest Nutcraker filmed can not be offered for the public to purchase perhaps it could be included on the next compilation set of Marianela's dvds with perhaps Sleeping Beauty, La Bayadere and Manon all of which have been filmed danced by Marianela making up a set of four. May I also add my plea for a full cast list to be provided to the cinema audience. While I can recognise most of the soloist, some costumes make it difficult, but those who don't regularly attend the ROH would really love more than the lead four characters. How frustrating for those who missed the live relay because of the failure of the satellite. It must have been the equipment in the local cinema as most saw the relay satisfactorily. I attended yesterday's (22.12) performance of "The Nutcracker" , and I may say it was the best one I may have seen life or in video. And , as always, also because of the marvelous Tchaikovsky music , I got moved during the performance. There were many comments during all these years about this remarkable production , so, I do not need to add anything else. But I would like to stress the superior global dancing of the cast , with a special note to Nuñez and Muntagirov, and a very special one to Marcelino Sambé, the best Hans Peter/The Nutcracker I have ever seen , again life or in video. He is no longer a promise for the future, he already is a superb dancer .I am really looking forward for his Basilio. Hoping to pick up returns to see this live in January. Does anyone know why Federico Bonelli has now been removed from the cast and replaced by William Bracewell? Our first visit to the ROH, our first ballet production and I have to say it was an absolutely amazing experience from the minute we arrived to the minute we left. Thank you to all the cast, production crew and all staff for your part in a thoroughly entertaining, magical, never to be forgotten evening!!!!!! Thoroughly enjoyed The Nutcracker at the movies,this year & last year's Royal Ballet production. Luckily,I could see it in Australia,the dancing, sets ,music & costumes were magnificent. So glad modern technology allows people to see the Royal Ballet from all over the world.Thanks. I was there on 28/12. Look, Steven McRae, Francesca Hayward, Olivia Cowley are filming "Cats", Alexander Campbell is in Australia, While nobody is looking, let's make Yuhui Choe & Benjamin Ella principals. It should have happened before now. Then we can have an R&J to tell our grand-children about. Any disagreement? No. Fine, motion carried. And Matthew Ball is off at Sadlers Wells too. Our annual family Christmas outing to Nutcracker last night. As beautiful as ever. Our son (7) joined us for his first visit to the ballet and has already said he wants to know if we can go again next year – to which, of course, the answer is a resounding ‘yes’. 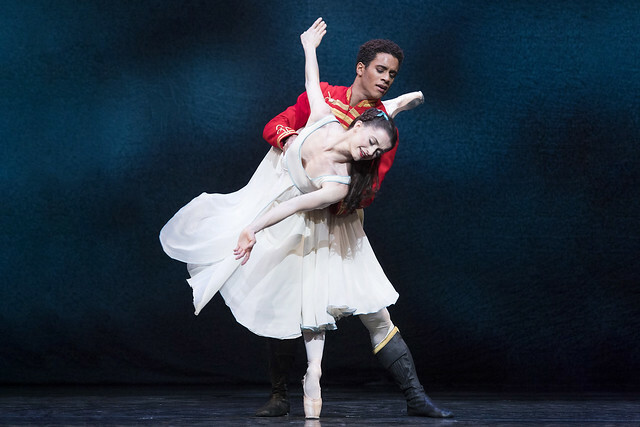 Beautiful staging and costumes, moving storyline, wonderful dancing and the Royal Ballet Sinfonia on top form. Thanks to all at ROH for a superb evening to round of the festive season. Please do make a DVD out of the Nutcracker 2018. A kind request... due to such a Sugar Plum Fairy by Nunez it took my breath away c o m p l e t e l y. Plus a very lovely Clara with her Nutcracker this year, so sweet and present on the stage. So please... a dvd to enjoy the 2018 version would be my sincere wish. I went to see the nutcracker today, unfortunately I found the performance was very poor. Clara seemed to be very heavy and reluctant to music, the sugar plum also wasn't on music for so many times, most of the small group dances fell all over the places, badly synchronised. The orchestra is so behind the conductor, especially act I, almost couldn't bare with it. Through the whole performance, I think there are only two good parts, the solo dance from the prince and one of the two Chinese dancers. I don't think I'm being picky, it was just not to the standard. I'm sorry for saying all the above. For other ROH performances, I would avoid the last few for sure. Just saw on livestream. I could not follow and memorize name/role, so it is essential for me to find cast sheets like Bolshoi's are doing for all past performances with a click. Would you please show me how to see the cast sheet? I do not seem to find it anywhere. Cannot find cast sheet. Could you please tell me where I can find it?